Could new rules change the pecking order of the F1 grid? 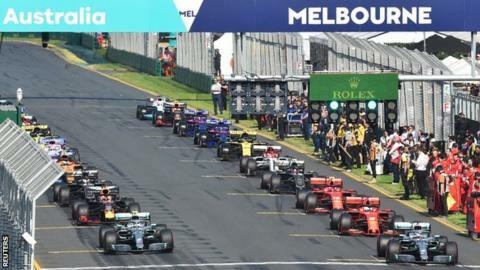 Formula 1 faces a pivotal meeting on Tuesday as bosses present their plans to the teams for the future of the sport from 2021. Owners Liberty Media and governing body the FIA are to introduce a budget cap and restructure revenue distribution to try to make F1 more competitive. The agenda for the meeting has been sent to teams without specific details. The package is the result of 12 months of talks after Liberty first presented its hopes for F1's future last April. Liberty's aim is to stop F1 being a two-tier sport, where three teams have a huge performance advantage over the rest to the point that no team other than Mercedes, Ferrari and Red Bull can hope to win a race. The budget cap is the key part of this plan, and has been the centrepiece of talks over the last year. F1 managing director Ross Brawn says these discussions have been intense and difficult and are unlikely to end when the 2021 rules are published. "The revenue is a tough discussion, we know that," Brawn said. "The ones that have got it all want to keep it and the ones that haven't got it want more, and it's finding the fair balance in how we can distribute the revenue, because we know if we have a more equitable distribution of revenue we will have a better F1, and that's a fact. "We'll never be in a situation on the cost cap, for example, where we will issue definitive regulations at a particular date and that's the end of it. The topic is too complex. "So as it evolves and as we see new challenges and problems, we will have to evolve and refine the regulations to achieve the objectives and that is no different with the technical and sporting regulations. "And in those two areas there are well-established routines and protocol and even then there are arguments. "So it would be naive to think the financial regulations are just going to be put on the table and that's it, leave it. "Each team has a different set of priorities and we are trying to find our way through it to get the best solution but I can see some genuine progress." A number of areas are likely to be deemed outside limits on spending - including driver salaries, remuneration for top executives and many aspects of marketing. And one of the key issues will be how limitations on spending will be policed, especially in the context of the large companies involved in F1. Many are concerned about whether the FIA will properly be able to police Ferrari, whose F1 operations are part of a much larger organisation where work could potentially be hidden. This does not apply to Mercedes, whose F1 chassis and engine operations in the UK are limited companies which file their own accounts. The trend for smaller teams to buddy up with larger ones is also a major area of contention. Renault, McLaren and Williams have serious concerns about Haas, for example, who buy as many parts as they can from Ferrari, leaving only the aerodynamic surfaces and chassis for them to design themselves. This year, Red Bull's junior team Toro Rosso have followed the same path - their 2019 car is made up of as many parts of the 2018 Red Bull as is allowed. The expectation is that this practice will be restricted. McLaren have been pushing for an approach whereby teams have to either make their own parts, or can buy standard parts from the FIA. This would remove the practice of buying parts from leading teams and giving teams such as Haas a chance to build more competitive cars on less budget and resources than needed to operate on the model of McLaren or Williams, who still function as entirely independent constructors. McLaren chief executive officer Zak Brown said: "We need a level playing field, not just for McLaren but for the entire grid. That means fair revenue distribution. I don't think that means equal. 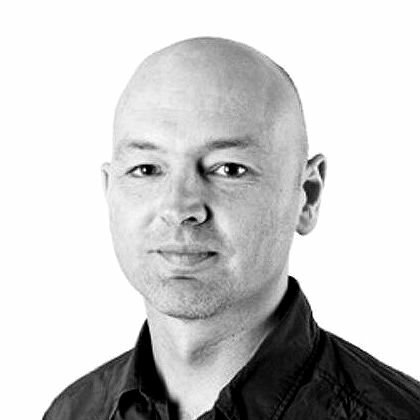 "A realistic budget cap that a lot of teams can get to from prize money and sponsorship. "And then F1's DNA has always been being a constructor, so equipment should only be listed parts (that teams have to make themselves) or standard parts if we want to help teams that maybe don't have capabilities to make listed parts. "But I don't think you should have some teams supplying some teams but not all teams. "That would make for a truer F1, better for everyone. "The governance needs to be addressed because a lot of the rules we try to get through get aggravated by teams aligning. "I think the teams need to have a say and a vote but not to such an extreme that we can stop things happening. "Like great sports, it should be different winners more frequently, different champions and then I think we all win."